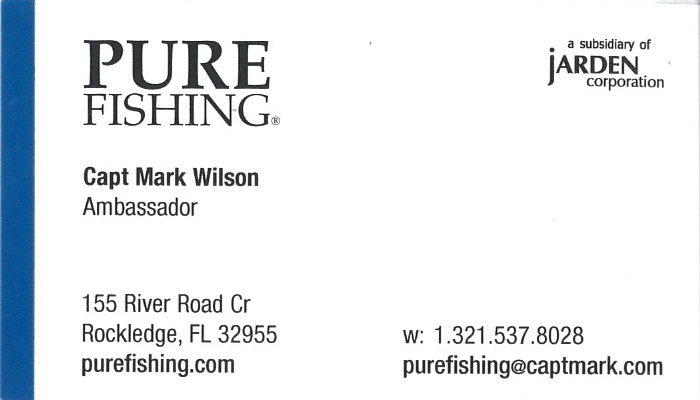 USCG Captain Mark Wilson is a native Floridian with a long history of marine conservation, promoting responsible sport fishing, supporting local communities with education and awareness while becoming a steward of the marine environment. 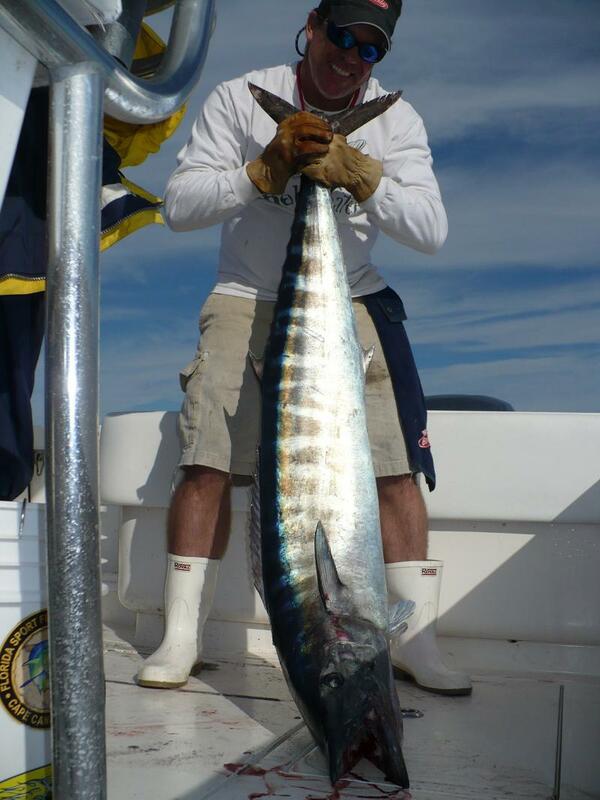 Capt Mark volunteers his time with a variety of community activities and fishing clubs. 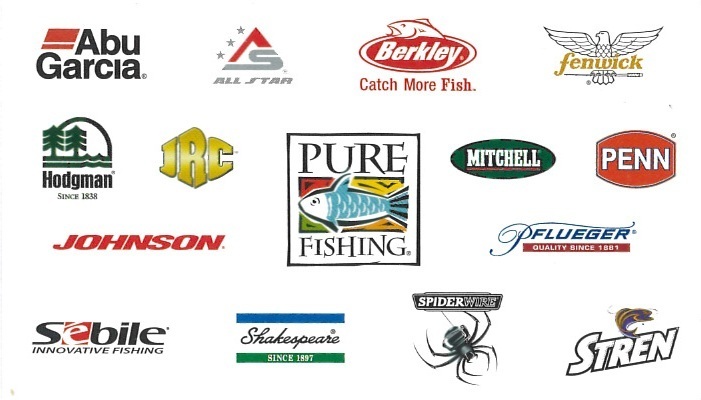 As an Ambassador to Pure Fishing, Inc since 2003 he participates in promotional events and is a published outdoor writer for a variety of media publications. For archives of past fishing seminars, published magazine articles, promotions, tournaments and awards visit the links in the navigation bar to the left. Various local transfers have included deliveries of vessels in the 40' - 72' range, departures to safe harbor during hurricane evacuations, crossings on Lake Okeechobee and to the Bahamian Islands. 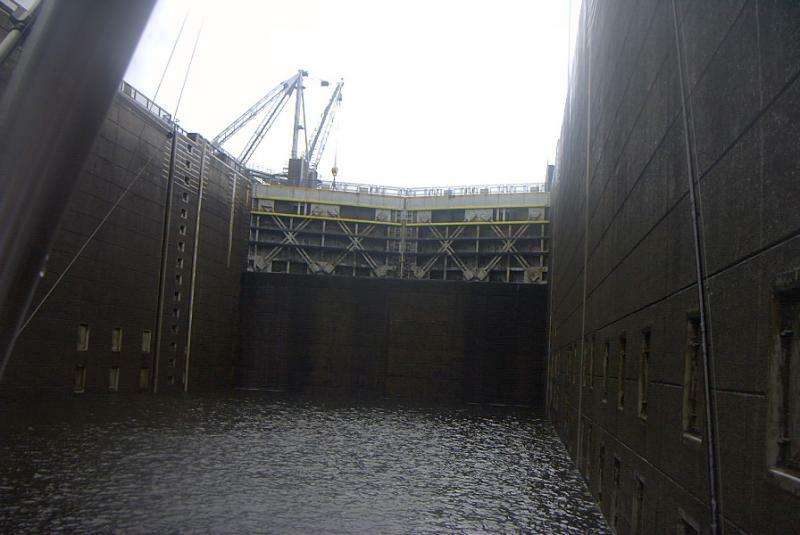 Previous long range vessel deliveries have included transfers from the Northern Great Lakes to Florida East Coast via Mississippi River, Tennessee River, TomBigBee Waterway and Gulf of Mexico navigating 27 Army Corps waterway lock systems as pictured below including the Puducah dam. Capt Mark actively works with U.S. 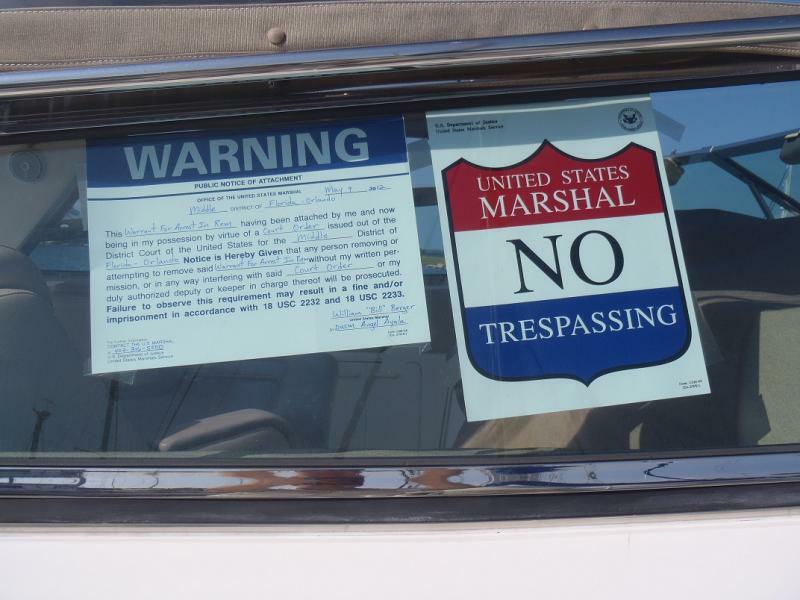 Marshals serving as a Substitute Custodian Captain to secure and care for vessels repossessed under Federal court jurisdiction. 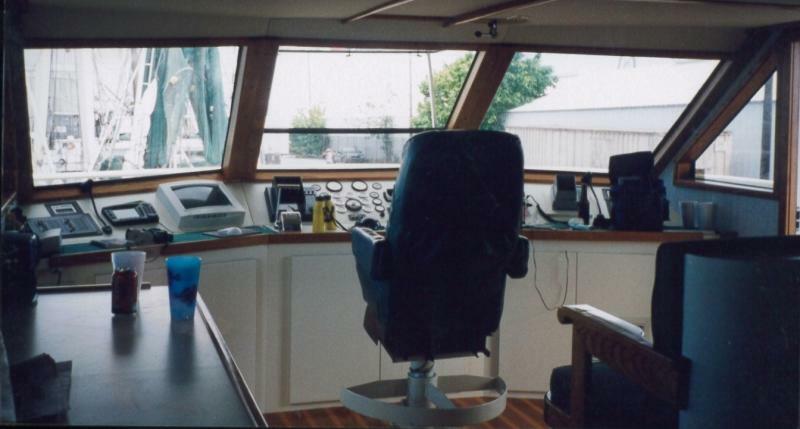 1997 through 2000: Capt Mark earned his USCG Master Merchant Marine Credentials piloting a 105’ commercial vessel MAD DOG IV during the summer months on long range excursions from Key West to the Marquesas Islands and the Dry Tortugas. 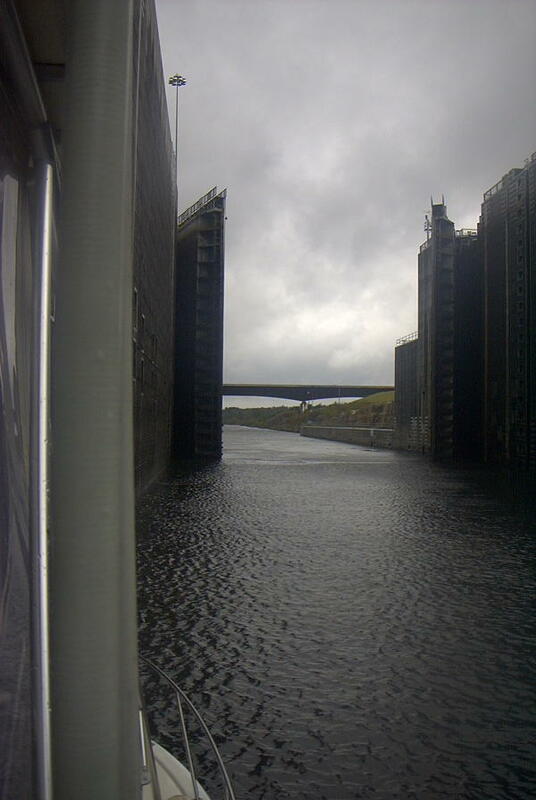 This 175 mile round trip focused on extended commercial fishing trips and continuous vessel care. 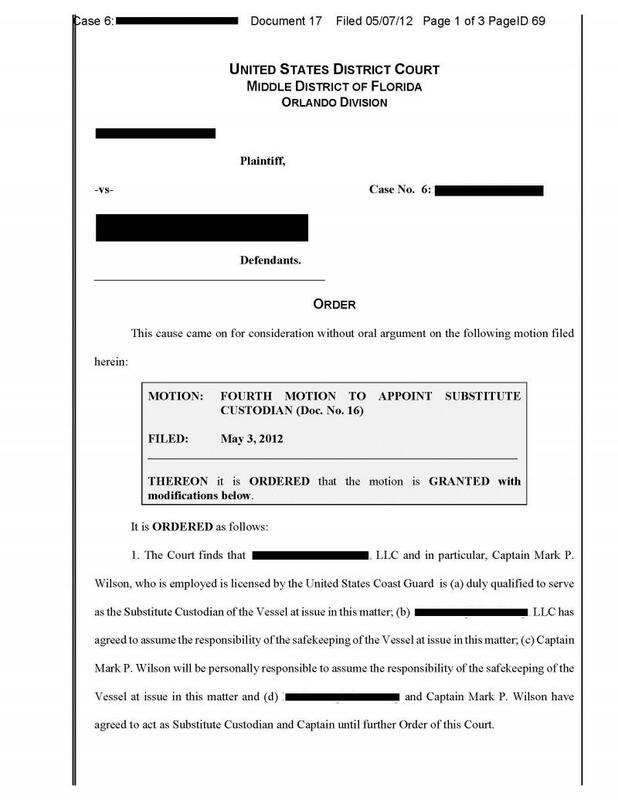 2001 through 2009: Capt Mark owned and operated a commercial charter fishing business, Phantom Charters, Inc. out of Cape Marina Port Canaveral. 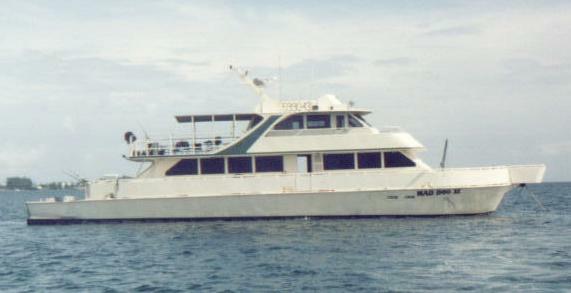 This Luhrs convertible sportfishing vessel boasted twin diesel for power and two state rooms for over night extended trips. Vessel formerly named Docked Wages. 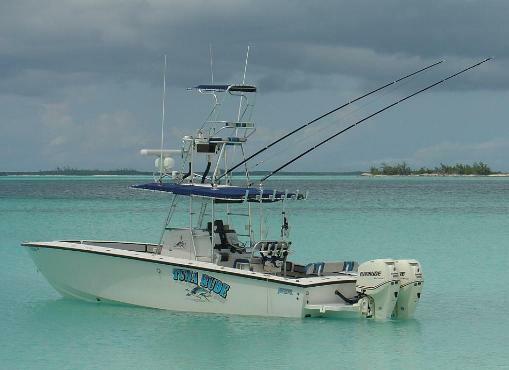 2006 through 2010: Capt Mark operated his 31’ Jupiter Tuna Rude out of Sunrise Marina Port Canaveral specializing in crossings to the Bahamas. This vessel was refurbished in 2006 with twin 250 Evinrude Etec, twin Lowrance 10.4 HD displays, Lowrance digital network and open array radar, Sea Dek coaming boslters, Boldwater Logo Design, new canvas and BT Welding customized features. For more details see link in navigation bar. 2010- 2018 21' Maverick Master Angler targeting rich nearshore waters of Cape Canaveral, across the world famous Mosquito Lagoon and up the St Johns freshwater river. 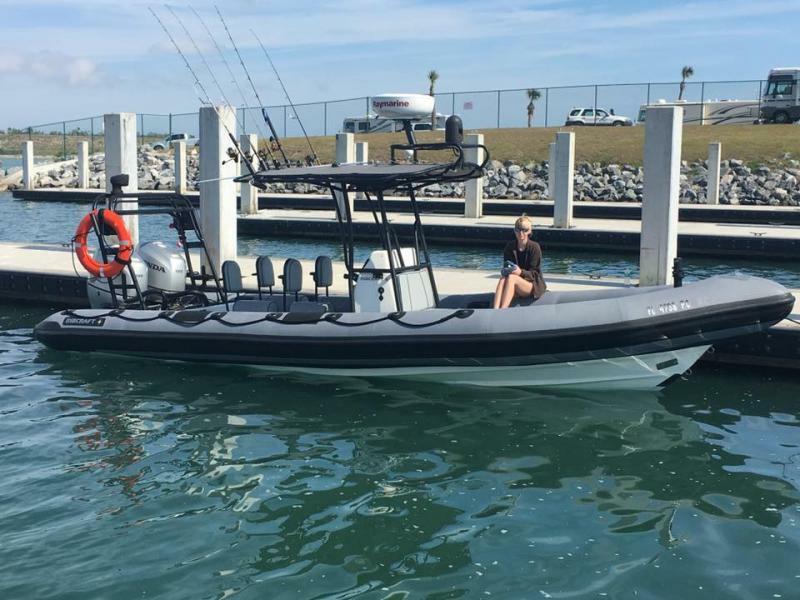 This Maverick is outfitted with offshore Raymarine electronics typically seen on larger boats and a removalable 8' custom tower for sightfishing Cobia, Tarpon and Redfish. 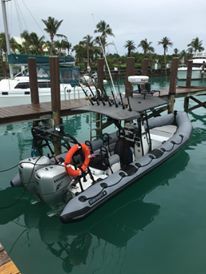 2015- Present 7.8 Meter Ribcraft Offshore model outfitted for Search and Rescue or all weather crossings to the Bahamas.